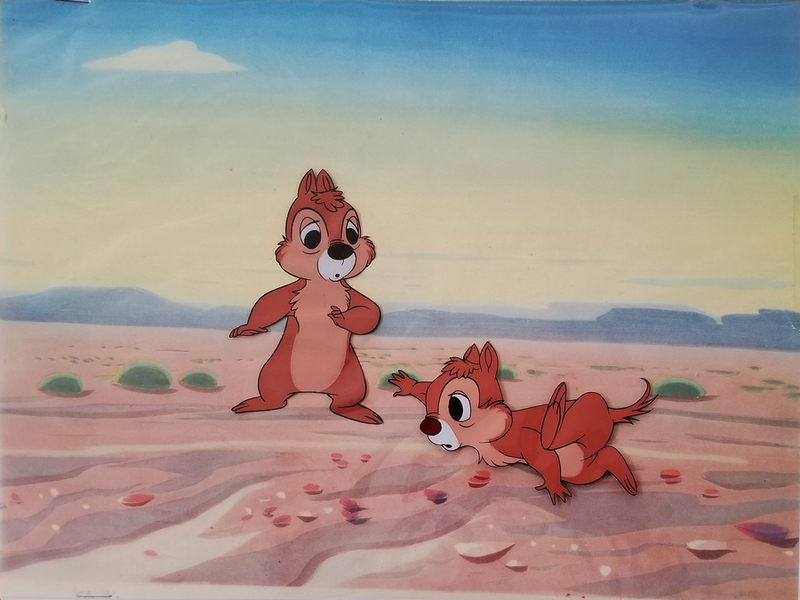 This is an original production cel of Chip and Dale from a Walt Disney Studios produced short featuring the adorable duo, from the 1950s. 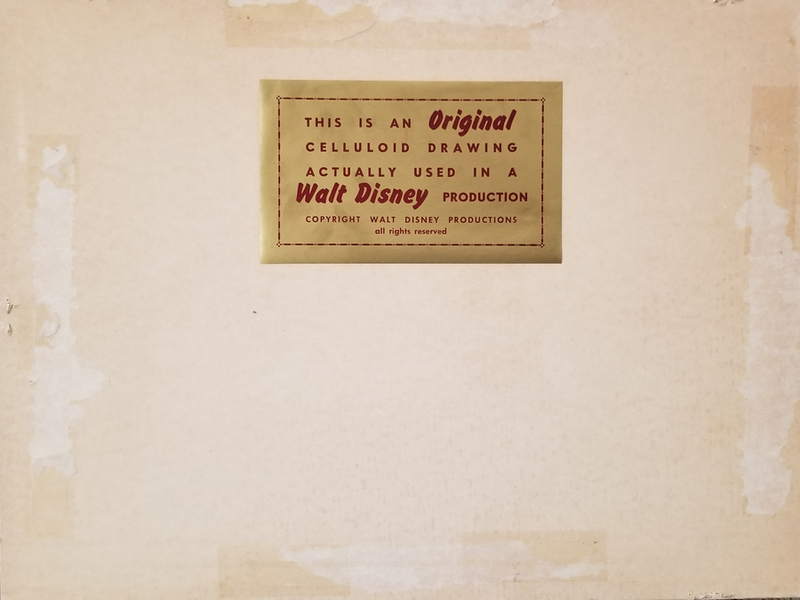 The cel was originally prepared for sale by the Disneyland Art Corner and is in very good condition with its original backing and art corner sticker. The overall piece measures 9" x 12" and the image measures 5" x 6".